Systems for music, video, lights, climate and security have become more intelligent enabling you to easily operate them from a smart phone, tablet, keypad, or touch panel. Effortlessly listen to your favorite music from any area of the home with a single button press or set the lights and shades to create ambiance for entertaining in your open concept kitchen and living area. From your mobile device while at home or away you can view surveillance cameras, unlock the door if your child forgets the key, or set the temperature. Smart home technology adds convenience, comfort, and peace of mind. It’s pretty cool too! Solutions available for new construction and existing homes. With real-time monitoring, you can have a dashboard display of your home’s energy usage to see where it’s being used efficiently. Let our control systems optimize energy consumption while maintaining comfort. Easily access and make adjustments to your electrical, water, and gas usage to save energy. See calculated savings and the reduction in your carbon footprint in response to your adjustments from dimming lights or adjusting your homes’ temperature presets. Settings can automatically change or notify you whether you’re home or away. We work closely with architects and builders who desire to execute such energy-saving ideas into their projects and to gain LEED certification. Distributed audio systems send music to any room in your Alabama or Tennessee home via a central processor or matrix switcher. The days of a volume knob on the wall are long gone. Control of your music is simple and intuitive by means of a touch panel, keypad, handheld RF remote, iPad® or similar Wi-Fi smart device. Whether the speakers are placed in the walls, ceiling, bookshelves, shower or pool, your surround sound system can be designed to aesthetically blend in to minimize visual impact. In fact, if you can’t get wires to a location, no problem. We have wireless solutions that enable you to enjoy your music from anywhere. You’ll need fewer components since a single music server or a Pandora station from your smart phone can be shared in one, several, or all the rooms of your home. 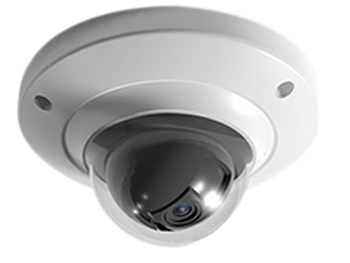 With high-definition surveillance cameras in and around your home or commercial business, you can monitor activities real-time whether you’re in the house or halfway around the globe. Receive live video streams of entrances to see who’s at the door, interior areas, the perimeter, or even check on the kids playing in the pool all from the same touch screen that controls your home entertainment system or from your smart mobile device. Camera types include pan-tilt-zoom, covert, long-range, nanny cams, and more. Activity is documented on a digital recorder so you can play back at your convenience. If you’re using smart devices and have a home technology system, you’ll be living in a connected home environment that offers convenience, flexibility, and an enhanced lifestyle. We’ll work with you to determine which technologies need to be connected on your network, wired or wireless, to meet your needs. This may only be some components or it may be everything from HDTV, IPTV, media servers, lights, shades, security, VoIP phones, appliances, and your control system. In all cases, the connectivity will be reliable and secure. A network is a home’s central nervous system for all communications and control. 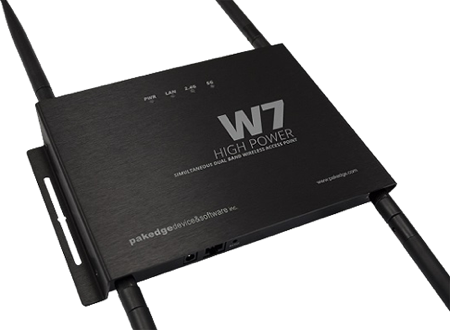 We’ll help lay a solid and reliable foundation with a wired and wireless network installation that’s robust for today’s technology and tomorrow’s. We will work with you to find a complete networking solution that satisfies all of your system needs including your TV, telephone, music, security, control system and mobile devices that are connected on the network in a smart home. A high-speed and secure network provides the functionality and protection you desire. A robust network is also a fantastic solution for businesses, supporting commercial audio video and video conferencing systems. AV Enthusiast is rated 4.6 out of 5 based on 37 reviews from around the Web. First, they solved my issue with reprogramming and then helped to source a midrange amp and in-wall mounted speakers. Very professional. On time, neat installation and great customer service. Highly recommended. Top quality equipment and service. Very professional. Hands down the best audio visual company around.The quality and expertise behind the company speaks for itself. I feel very comfortable recommending their services if you are in the market for a good sound system, entertainment theatre, or other audio or visual services. These people are excellent , on time, no surprises. They did a phenomenal job designing our audio video room, presenting us options on A/V equipment, and then installing to perfection. We needed help hanging and connecting a new tv above the mantel in our home, and AV Enthusiast was very helpful and did a great job! Great work hiding the wires. Definitely would recommend. Very happy with the job they did. They were so accommodating and professional and response has been immediate to all of our follow-up questions. I had a very small issue with a part replacement for my Totem Element Earth speakers, The response I received and help given was Professional, fast and most of all, caring . The sound system was amazing, Very nice set up. Great service, super professional, and quick response time. Highly recommend. I have used AV Enthusiast on several different occasions and have always been pleased with their service.